Having access to the high-quality equipment you need at a price that fits your budget can be the deciding factor between success and failure. If you’re looking for ways to streamline your Utah construction, mining, landscaping or agriculture operation, a good place to start is by reducing your equipment expenses. When you buy used excavators from Wheeler Machinery Co., you’ll be able to cut costs without cutting corners. We offer a broad selection of top-quality used excavators to meet your diverse needs. Whether you require a large excavator or a used mini ex for sale in Utah, we’re sure to have you covered. As the Cat® dealership for the region, we call on an extensive network and product inventory to locate the used mini excavators that meet your specific business needs. Our machines will exceed your expectations in terms of productivity and reliability, while potentially saving you thousands of dollars in the process. 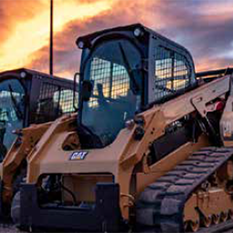 Wheeler Machinery has been Utah’s authorized Cat equipment dealer since 1951. 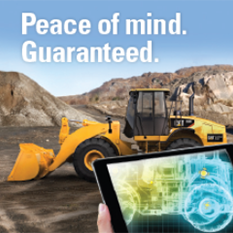 That means you’ll always find a wide assortment of Cat used excavators for just about any digging application. Depending on availability, our used excavator inventory can also include machines from other respected allied manufacturers. Whether you prefer a late-model, low-hour machine or a more experienced unit, you’re assured of getting a thoroughly inspected excavator at a price that fits your budget. For digging, clearing and material handling on smaller jobs and in tighter confines, nothing beats the power and versatility of a Cat used mini excavator. Our selection of used mini ex for sale in Utah represents the reliability, durability and productivity you expect from a Cat. All of our used mini excavators are expertly serviced and stringently tested to ensure they’re ready to stand up to your most rigorous applications. Get in Touch for Used Mini Excavators in Utah Today! 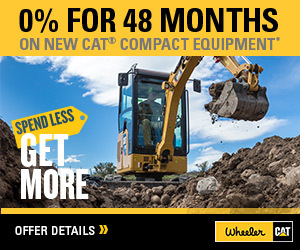 Contact Wheeler Machinery Co. today to learn more about how a used excavator can be an invaluable asset to your Utah business! We proudly serve all of Utah, including cities such as Salt Lake City, Vernal, St. George, West Jordan and South Jordan.